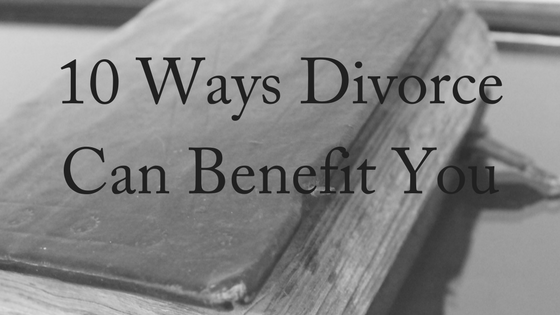 Is it true that divorce can benefit you? It is now well-known that going through a divorce is one of the most stressful events in life. The Holmes-Rahe Life Stress Inventory categorises it as the second most stressful event in life behind the death of your spouse. While there are ways to reduce the stress of a divorce where possible, such as reducing conflict and going to mediation, sometimes it can help to think of divorce in a whole new light. You can choose to make your divorce make you a better person. It is possible that your divorce can benefit you – if you view it as an opportunity to grow. Maturity. 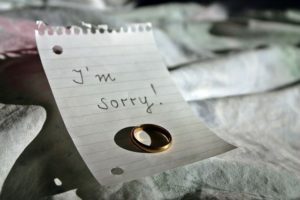 If we are willing to learn from our mistakes, divorce helps us to leave behind our happily-ever-after and embrace the reality that relationships are hard work and never perfect. Maybe we didn’t fully appreciate the effort that marriage requires. And possibly we still carried childhood wounds and patterns into our marriages rather than assuming adult responsibility for our own responses. Confidence. If you have survived a divorce, you can get through anything! Take heart that the strength you needed to get through divorce is always there, ready for you to tap into. Now you know you can trust in your own strength, rather than relying on others. Perspective. Remember when the biggest problem you had was deciding whether to binge-watch Breaking Bad or Game of Thrones? Going through a difficult time gives you perspective on life. Suddenly, the small things that used to get you fired up are relegated back to their correct position. Now that you have experienced the big things, you don’t waste your time and energy on small things. As time goes on, and your divorce moves further back in the rearview mirror, you will be able to see patterns less clouded by emotion. That perspective gives you information that you can use to change your own behaviors and to improve your future relationships. Gratitude. Truly understanding pain helps you be thankful for the wonderful things in your life: your kids, your friends, your job, your home. Those things that give you a small token of joy – relaxing with a coffee and a magazine, seeing a show, watching your team play, cuddling with your children – seem immeasurably more amazing. Empathy. Now you know from personal experience what sadness, grief and loss feel like. It makes you more open to the feelings of others and their experiences. Divorce can benefit you because you can help others in similar situations with honesty. Responsibility. Now you find yourself having to balance your own budget, cook your own meals, and know when to put the car in for a service. There is a freedom and strength in knowing how to look after yourself. Humility. Divorce is a harsh lesson in our limitations. It’s a wake-up call that we all make mistakes and we all make choices whose consequences may be much greater than we ever imagined. Now is your opportunity to accept your own mistakes and learn from them. Forgiveness. Learning how to forgive is a truly monumental moment in our lives. It isn’t for the other person’s benefit – it is for our own. Forgiveness doesn’t make bad behaviour okay, nor does it excuse it. Forgiveness allows you to let go of anger, hatred and blame, all emotions that will only end up poisoning you. Wisdom. 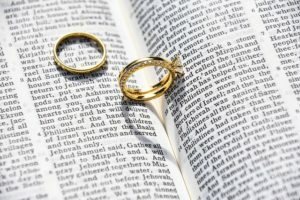 Many use divorce as an opportunity for reflection and analysis. With the ego stripped away, you are raw and ready to learn. There’s wisdom in the lessons hidden in the end of a marriage. Resilience. The ability to bounce back after experiencing difficult circumstances is an important life-long skill. Resilience is not a trait that people either have or do not have. It involves behaviors, thoughts and actions that can be learned and developed in anyone. Often divorce is seen as the end of something that was once good. But it can also be the beginning of a new chapter in your life – and that’s how divorce can benefit you. If you need to take the next steps down the road of separation and divorce, please contact us today for your free, 10-minute phone consultation. We are happy to help in all areas of family law, including issues surrounding divorce.